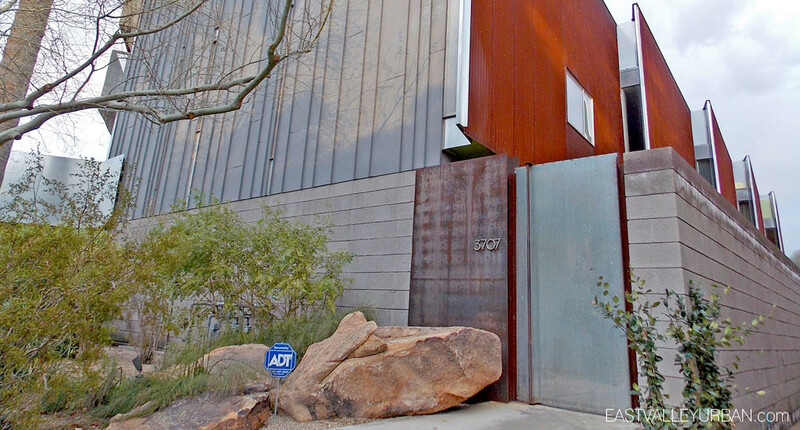 Loloma 5 is a one-of-a-kind urban infill community in the heart of downtown Scottsdale. 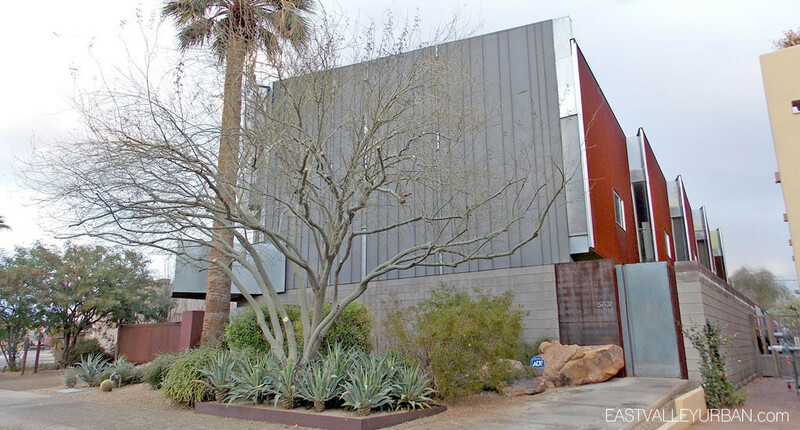 A collaboration between Canadian Context Development and Will Bruder Architects, this five-unit gated masterpiece was constructed in 2004. 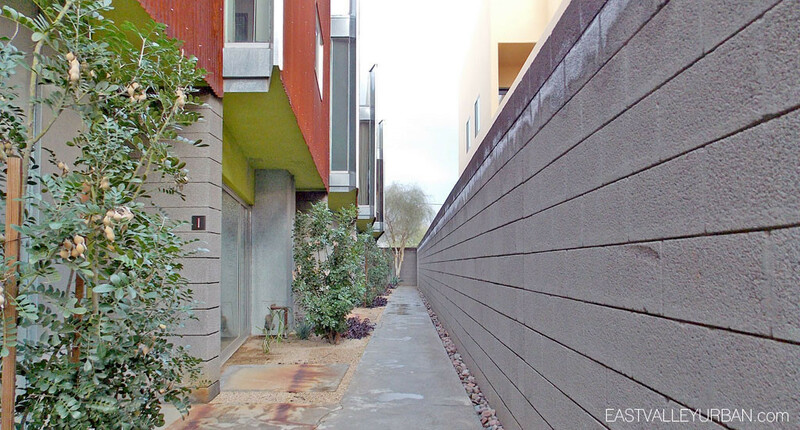 The unique architecture of these townhomes are said to be the sophisticated acknowledgement of the traditional and modern roots of its Old Town Scottsdale context. The project creates a live/work environment for residents in the heart of Scottsdale. All five townhomes are two-bedroom, two-bathroom at roughly 1,500 square feet of living space spread across three levels. The exterior design consists of rusted metal and perforated paneling, large glass expanses and irregular angles giving it it’s unique appearance. The lower level of the townhome is dedicated parking stalls for the residences. The project creates a live/work environment for residents in the heart of Scottsdale. All five townhomes are two-bedroom, two-bathroom at roughly 1,500 square feet of living space spread across three levels. 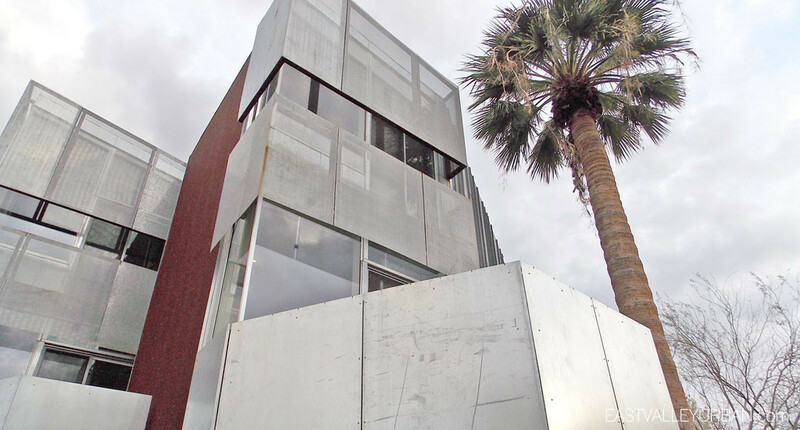 The exterior design consists of rusted metal and perforated paneling, large glass expanses and irregular angles giving it it's unique appearance. The lower level of the townhome is dedicated parking stalls for the residences. Looking to sell a property at Loloma 5?